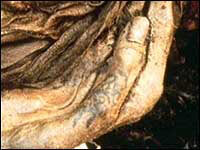 In 1920, archaeologists in Peru unearthed tattooed mummies dating from the 11th Century AD. Not much is known about the significance of tattooing within the culture of pre-Incan peoples like the Chimú who tattooed, but the elaborate nature of the designs suggests that tattooing underwent a long period of development during the pre-Inca period. According to Lars Krutak (Cultural Anthropologist and our Technical Advisor): "The Chimú of Pre-Columbian Peru applied tattoo pigments with various types of needles (fishbone, parrot quill, spiny conch) which have been found in mummy burials. The technical application of tattooing was a form of skin-stitching, and it has been suggested that women were the primary tattoo artists. Paleopathological studies of Chimú mummies (1100-1470 A.D.) indicate that the practice of tattooing was quite common among both males and females. In some coastal settlements, it has been estimated that at least thirty percent of the population may have been tattooed." Later, during the Incan period, nobility NEVER tattooed because it was believed that the Sun God already gave them perfect bodies. According to Lars Krutak: The Gran Chaco is a vast arid plain located at the center of the South American continent. Tattooing in the Chaco has been largely replaced by less painful and infective forms of body-painting in the modern-era, it had "magical" implications in the past and nearly all indigenous groups practiced it. In 1750, the Jesuit missionary Martin Dobrizhoffer provided a rare account of the actual ritual among the now-extinct Abipón. His observations are said to have been typical of all Chaco groups that practiced tattooing in the past. 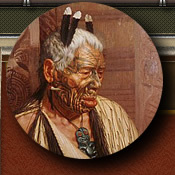 See the Lars Krutak articles; Tattooed Tribes of the Amazon, The Mundurucú: Tattooed Warriors of the Amazon Jungle and Tattooing in the Gran Chaco of South America for more information about tattoos & tattooing in South America. The Mats�s have accentuated lines tattooed on their faces to identify them as members of their tribe. The Movement in the Amazon for Tribal Subsistence and Economic Sustainability (MATSES) is an organization of the Mats�s tribe offering assistance to the Mats�s people.